With the legalization of recreational cannabis on Oct. 17, 2018, employers have been preparing to answer questions about whether their current benefits plans should provide reimbursement for cannabis products for medical purposes. Access to cannabis for medical purposes isn’t new. However, with all the attention on cannabis due to the legalization of recreational cannabis, employers need to be aware of the landscape for benefits coverage related to cannabis and its derivatives. In February 2017, the Nova Scotia Court of Appeal confirmed in Canadian Elevator Industry Welfare Trust Fund v. Skinner that an administrator of a benefits plan can choose what specific drugs and medications will be covered by a plan. In particular, it held that the exclusion of medical cannabis isn’t discriminatory under human rights legislation. In the Skinner case, an employee’s request for coverage of medical cannabis under his employer’s benefits plan was denied because drugs not approved by Health Canada, such as cannabis, weren’t covered under the applicable benefits plan. The Court considered whether the employer’s benefits plan was required to cover medical marijuana and whether the failure to do so violated the employee’s rights under the Human Rights Act. 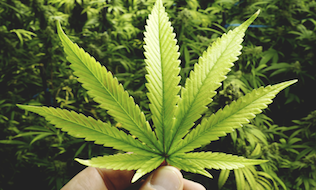 The Court held that there was no connection between the employee’s specific disability and the decision to deny coverage for medical cannabis. The decision clarifies that human rights legislation won’t go so far as to require a private benefits plan to cover all “necessary” medications and drugs prescribed by physicians. If that were the case, the Court noted, every request for excluded medications could be subject to a human rights complaint, and tribunals would become arbiters of private benefits plans. The Court’s findings in Skinner are consistent with decisions of other courts and tribunals in Canada on this issue. However, while an employer may not be required to provide coverage for medical cannabis under an benefits plan, employers should be careful to consider whether existing plans already provide reimbursement for cannabis products. Many benefits plans, including those that are insured and those that are self-funded by employers, won’t provide any reimbursement for treatments that don’t possess a drug identification number issued by Health Canada. Cannabis doesn’t have a DIN so the investigation into whether coverage for cannabis exists in the benefits plan often ends there. However, additional plan provisions can expand or restrict coverage. As well, they’ll need to be reviewed carefully to assess whether the benefits plan contains language that may apply to medical cannabis coverage. Specific inclusions or exclusions may also be explicitly listed in a benefits plan to address cannabis. In particular, since benefits plans often include lists of treatments and drugs that are explicitly excluded from coverage, many employers are considering whether cannabis should be expressly added to these lists. Whether such a list can be amended unilaterally, regardless of whether the change is initiated by the employer or the insurer, will depend on the terms of the applicable employment contract or the applicable collective agreement where the employees are represented by a union. As a general rule, employers aren’t obligated by statute or common law to provide health and benefits coverage to employees. However, when employers do provide benefits as part of the employment contract, they must ensure that they do so in a non-discriminatory manner, and they also must ensure they administer their plans in accordance with how the plans are written and communicated to employees. When it comes to coverage for cannabis products for medical purposes, employers should consider whether they want to expressly provide some coverage for cannabis and its derivatives or, alternatively, explore options to clearly restrict coverage.